Making natural skin care treatments using common items found right in your own kitchen is so quick, easy and astoundingly effective! Not to mention the significant savings. . . 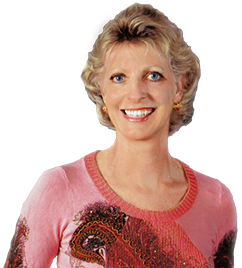 Learn how to make your own natural anti-aging skin care that will effectively address your aging skin concerns. Begin by taking an inventory of potential natural skin care ingredients available in your cupboards and refrigerator. The most common items include fruits, dairy items, sugar, salt, vinegars, aspirin, eggs, honey, oatmeal, olive oil and tea bags. 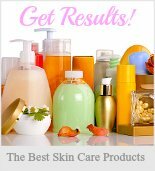 Decide on the natural anti-aging skin care ingredients that best address your skin type and skin care issues. Oily skin types will want to focus on more astringent ingredients such as citrus and exfoliating salt or sugar scrubs while sensitive skin types will want to include more soothing items such as olive oil, dairy products and honey. Your skin will literally glow with lovely looking ageless health. . .
Let yourself enjoy and experiment so you can discover the ingredients and recipes you work the best for you. Develop a natural skin care routine that incorporates a cleansing, scrub, toning, and moisturizing recipe using the natural ingredients best suited for your skin type. For example, a normal skin type might use a sea salt scrub recipe followed by a lemon juice toner and olive oil or coconut oil based moisturizer. Start collecting natural skin care recipes and experiment with ingredients to determine which are best suited to address your aging skin care needs. 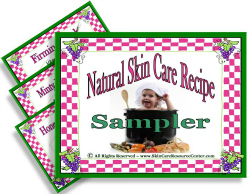 We have created these free printable homemade skin care recipes as downloadable cards to help you get started. 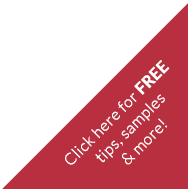 Sign-up for our free step-by-step e-course on beginning a natural skin care routine. Most skin types benefit from regular facial steams and a weekly facial treatment such as a mask or skin peel. Try whipping up a 10 minute enriching moisturizing facial mask from an egg, a packet of unflavored gelatin, the juice on a lemon, and a drizzle of olive oil. Apply for 10 minutes, relax, then rinse well. Did you know that most natural anti-aging skin care recipes can be made ahead and will keep for several days when refrigerated? address a wide range of skin care issues. There are many herbs that are known to effectively combat acne outbreaks while others are proficient in healing skin irritations. The more you explore skin care recipes and the attributes of natural organic ingredients the greater reward you and your skin will have when you mix up your own natural skin care treatments! If you are allergic to certain foods, don't use them in a natural skin care recipe either! We'd also like to invite you to. . . Your recipe becomes part of our site's blog and is published as a web page right on this site for others to try. It's quick, easy and really fun to do using the recipe submission form. 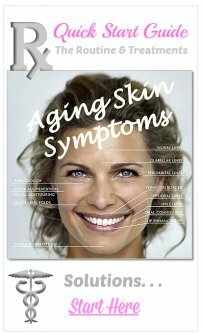 Once you get your natural anti-aging skin care routine started, we'd love for you to check out our Naturally Skinsational ~ Rejuvenating Skin Care Recipe ebook. 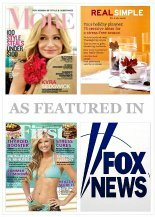 You'll find over 150 recipes that focus on the natural anti-aging properties of common ingredients and herbs. You'll look absolutely skinsational~ naturally!